This Roundtable will be of special interest to Focusing-Oriented Therapists (FOTs). Gregory Bateson (1979) wrote that the point of the probe is always in the heart of the explorer; that is, every voyage of discovery leads back to the self. As focusers, we know that experiential process, with its illuminating potential, swiftly gets to the heart of things, bypassing the need to describe situations in lengthy details. As FOT’s, we have learned that most challenging times in psychotherapy arise at the point where the therapist’s own life experience is stirred by something not yet expressible by either client or therapist. In this Roundtable we will take the time to look at the times we have no idea what to do next. We have used up everything we know. We feel inadequate, frozen, overwhelmed, even hopeless. We will learn to open to these experiences, even love them (!) as an essential part of the psychotherapy process, and then be ready for them to transform into new possibilities for both therapist and client. First, we will create the atmosphere so necessary to enter into this deeply personal exploration. Then we will invite one or two participants to share such a moment. All participants will be invited to resonate and “dream along” with each vignette. We will briefly share helpful concepts that can be generalized to other similar situations. Then we will invite each participant into a focusing relationship with their “stuck place” to gently illuminate its meaning. Our aim is to “shift” situations so that they can be “held” more gracefully without being reduced in complexity. What do you need to feel safe here to move into a focusing place with your challenge? How would you describe this moment or point in you? How would you describe this most difficult relational moment? How can the concept of impasse or rupture and repair be helpful to you? Joan Lavender, Psy. D. has over thirty years experience as a focusing oriented relational psychotherapist. Her earliest training in movement serves as a unique perspective that unifies all of her clinical work. Her publications include clinical research on the process of symbolization in psychotherapy, eating disorders, envy, loneliness in women, aging and your life as a therapist. She is currently finishing up a website course on Focusing Oriented Relational Psychotherapy and Psychoanalysis. Joan is in practice in New York City. 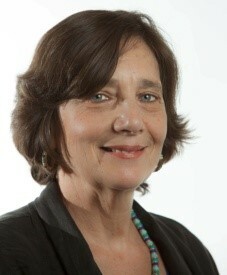 Susan Rudnick, LCSW has been in the private practice of psychoanalysis and psychotherapy in Manhattan for over thirty years. Her interest in the healing power of the therapeutic relationship began during analytic training and continued through her study of relational and self- psychology. She is passionate about the transformational power of Focusing for both therapist and client. She pioneered a Focusing oriented drop in collaborative supervision group, which has been running for several years. She is a published haiku poet. Her memoir Edna’s Gift: How My Broken Sister Taught Me To Be Whole will be released in June 2019. Visit susanrudnick.com. Registration Closes: Wednesday, December 12, 2018 or when the class is full, whichever is sooner. Sorry, this offering is now closed.